Our extensive range of Absorbent Pads contains a huge selection – which means you can have the perfect spill control solution immediately to hand, no matter where it is in the workplace. With colour coded products dedicated to spills of oil, chemical or water, in boxes and ‘rip one’ wall hung packs, you can be confident of controlling spills of any kind. Get the most effective spill control solution by teaming them with our absorbent spill pillows, spill socks and spill rolls. 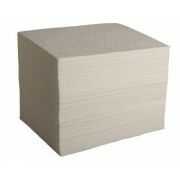 Lightweight Oil only absorbing pads in handy dispenser boxes of 200. Manufactured from hydrophobic materials, these pads will absorb oil at the same time as repelling water. 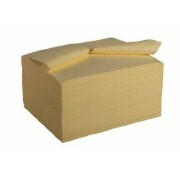 With the ability to absorb in wet or dry conditions, the pads are suitable for use inside or out. 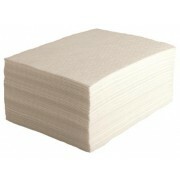 Each pack of absorbent pads will soak up 120 litres of liquid. 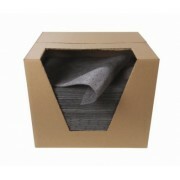 Heavyweight Oil only absorbent pads in handy dispenser boxes of 100. Heavy duty absorption for oil spills. For use in heavy engineering environments. 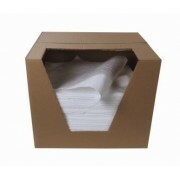 Each pad absorbs up to 1.2 litres. 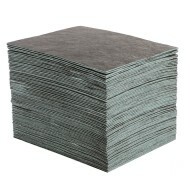 Polypropylene maintenance pads measuring 40cm x 50cm and supplied in boxes of 100 x 350gsm pads. Used to absorb most industrial type fluids, including non-aggressive chemicals. Manufactured from high tensile strength polypropylene. Each pack will absorb 74 litres of fluid. 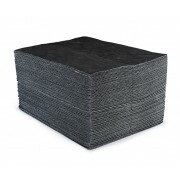 Polypropylene maintenance pads measuring 40cm x 50cm and supplied in boxes of 200 x 175gsm pads.